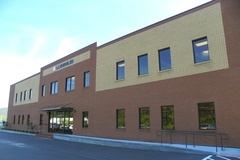 The Lummus manufacturing facility located in Savannah, Georgia, is expected to add second and third shifts to their manufacturing schedule during this expansion. (PRLEAP.COM) Lummus Corporation, the parent company of System Solutions of Kentucky (SSK) and Lummus, is planning for significant growth and hiring in upcoming months. Widely known as a leading solution and equipment supplier to the intralogistics and cotton gin industries, the company also provides technical solutions to other segments, including those in food manufacturing and synthetic fiber processing. 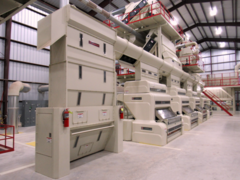 SSK, the company's Louisville-based division, designs, manufactures, and installs both automatic and manual conveying and sorting equipment. The equipment created by SSK is used in a wide variety of industries including letter, parcel, baggage, and cargo. In order to keep up with its high growth, the company recently hired 59 people during the first quarter of 2018, and in the weeks ahead SSK plans to create more than 50 additional jobs across all business areas with opportunities for second and third shift employment, project managers, engineers, business staff, and more. The company's new Chief Executive Officer Ben Hinnen explains: "During a time of rapid growth, we're very excited to offer many excellent career opportunities for a range of positions. Along with manufacturing jobs, we're looking for business professionals and engineers interested in being a part of an exciting, fast-growing entrepreneurial environment." 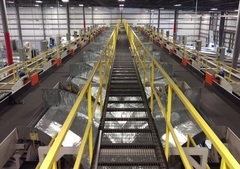 Additionally, the ginning equipment demand is at a 10-year high, requiring expansion of manufacturing resources at locations in Savannah, Georgia and Lubbock, Texas creating over 30 jobs. Lummus will add second and third shifts to their manufacturing schedule in Savannah and a second shift in both Lubbock and Louisville. Along with their focus on job creation and hiring, Lummus Corporation is also planning on expanding their manufacturing facilities. 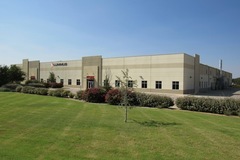 During the second half of 2018, the company will establish plans for a new plant in Texas, Kentucky, or Georgia. The location will be determined and announced after the board of directors finishes their analysis of the company's manufacturing strategy and decides on the best approach for scaling up. The Louisville location will also be moving into new office spaces later in the year to successfully meet increased business demand. With a legacy dating back to 1863, Lummus Corporation has grown to become the leading supplier of cotton gin machinery and replacement parts worldwide. The company, under the name Lummus, Consolidated, and Belt-Wide brands, operates around the world providing manufacturing services and technical support for customers across the U.S. and worldwide. Lummus Corporation prides itself on their commitment to producing the highest level of quality, innovation and service, and offering top-of-the-line products to over 100 countries. For more information on Lummus Corporation, visit their website or call 912-447-9000. System Solutions of Kentucky (SSK) is a single-source material handling systems integration company serving clients in North America. They focus on driving high performance and productivity for logistics and e-commerce customers. Based in Louisville, Kentucky, the company is recognized for providing quality products, efficient service, and high-end performance. To get more information about System Solutions of Kentucky, call 502-526-0082.